Neysa Bryant isn’t afraid to jump into any challenge feet first. Whether it’s starting a judging career after a chance job, starting her own business, or going for a cattle drive, she’s game for anything. “The older I get the more anxious I get about things, but I’m not afraid to try something at least once,” said Bryant. Bryant got her start in the horse world on the back of an Arabian. 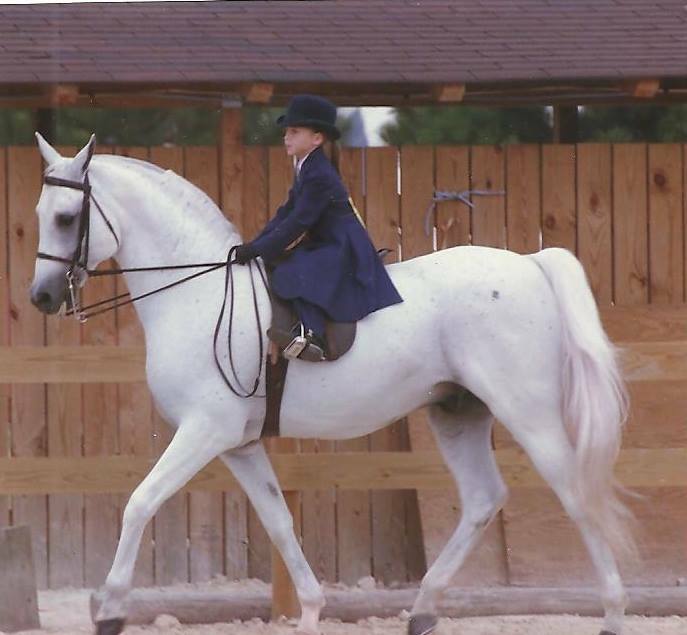 Her father had an Arabian breeding business, so she started showing saddle seat at 5, but by the time she was 9, jumping was calling her name. So she made the switch and never looked back. But many of her hunter ponies were Arab crosses her father bred. Neysa Bryant grew up riding Arabians. Photo courtesy of Neysa Bryant. She’s stuck with the hunters since then and leases Son Of A Sailor, whom she shares with owner Emma Fass. Her partnership with “Ernie,” a 14-year-old Dutch Warmblood by Popeye K, was a bit of a fluke. Another horse she was riding wasn’t quite the right fit, and since Emma’s mother Rebecca Fass had two horses going to Blowing Rock Charity (North Carolina), she offered Bryant the opportunity to ride Ernie. Bryant keeps her show schedule to a small, manageable number, but she likes to make big goals. In 2017 she was second in both the NAL Adult Hunter Championship at the Pennsylvania National and the Washington International Horse Show Adult Hunter Championship (District Of Columbia) and hopes to return this year. 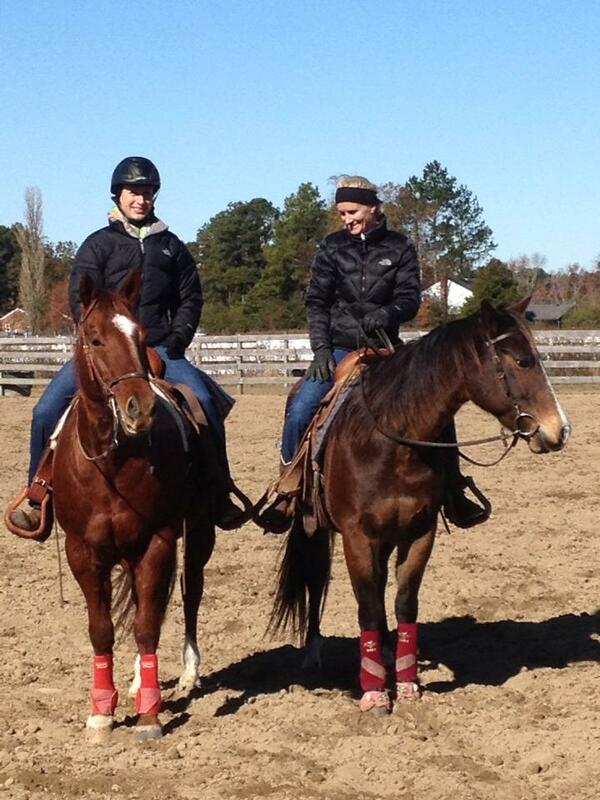 Neysa Bryant and Emma Fass enjoy sharing the ride on Ernie. Photo courtesy of Neysa Bryant. “At Harrisburg, I get very, very nervous. I’m not sure why,” said Bryant. “It’s definitely a more equestrian-friendly venue. I think obviously your horse gets to be prepared a lot better there, and maybe that’s what takes the pressure off at Washington is that everyone is sort of at an equine disadvantage, so at Washington I’m not one bit nervous. And no one comes to Harrisburg to watch except for [trainer] Peg [Seals] and our barn manager Laura [Wright], and one awesome barnmate comes and holds my hand. Then at Washington, everybody comes. His owners come, my mother comes, my mother’s friends come, so it should be so much more nerve-wracking at Washington, but it’s not. I don’t know why. Like Bryant’s equestrian background, her career choices have been varied. She attended Christopher Newport University (Virginia) for two years before deciding the college route wasn’t for her. She then worked for Smithfield Foods processing medical claims, but after she had her first child in 2008, she decided to take a different path. She opened her own embroidery business, which she sold four years ago. Now she works for her father’s horse trailer business, Trailer Country LLC, as the sales manager. Neysa Bryant went on a cattle drive with her mother Debbie Bowden. Photo courtesy of Neysa Bryant. Becoming a judge wasn’t originally part of Bryant’s life plan, but when she was in her early 20s one of her trainers was offered a judging gig she couldn’t accept, and that trainer threw Bryant’s name in the hat. That chance job took her from judging a couple local shows to between 10 and 12 a year. Because she has two young kids Bryant hasn’t pursued getting her judging card for rated shows, but she hasn’t ruled it out for the future. 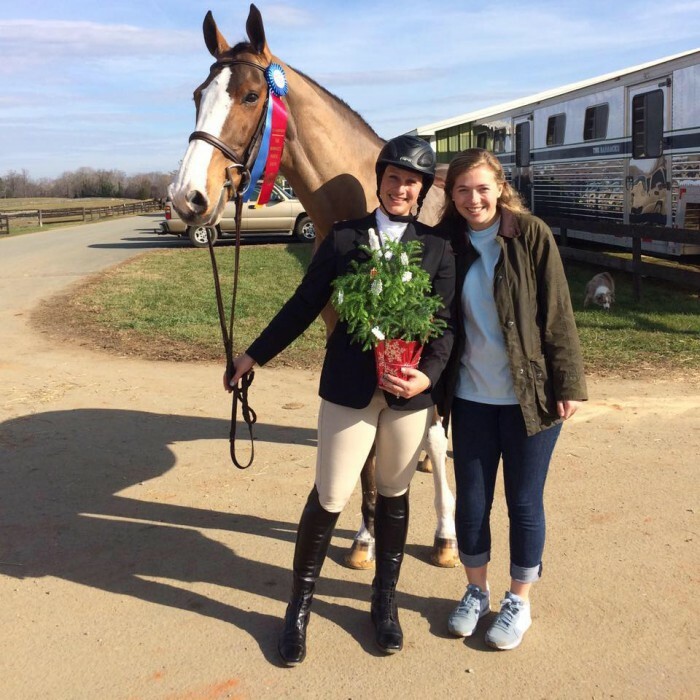 As if she didn’t have enough on her plate, she also helps her mother Debbie Bowden, who is the secretary at Deep Run Horse Show, Warrenton Pony Show and Warrenton Horse Show, all in Virginia. 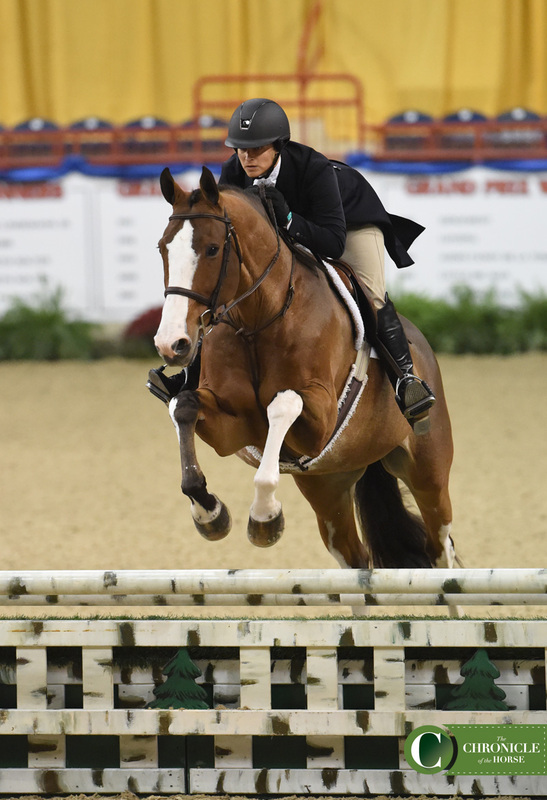 Neysa Bryant and Ernie at the Pennsylvania National Horse Show in 2017. Photo by Laura Lemon. And it’s certainly made sure she’s always on top of her own entries.